Comic book movie soundtracks are supposed to remind you of the movie, and by and large, most of them do the trick, though my favourites have always been the original Spider-Man trilogy OSTs. And it’s tough to stand up to those Sam Raimi films when we’re talking about thematic music. Nobody does it better then Danny Elfman, except maybe, Kendrick Lamar. 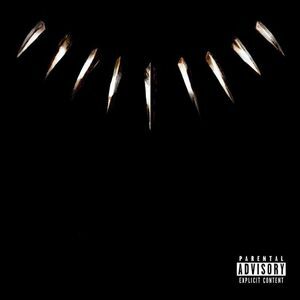 Black Panther: The Album – Music from and Inspired By (also known as Black Panther: The Album) is a soundtrack album for Marvel Studios latest and greatest, Black Panther. In case that wasn’t obvious to you yet, this is a project with some weight behind it. Now, to be perfectly honest, this isn’t a Kendrick Lamar album, but it must as well be his love letter to Blaxploitation music of the 1970s and 1990s gangsta rap, with a conscious hip hop flavour of the day. He pretty much curated the whole thing, and shows up on at least 40% of it’s tracks. His record label, Top Dawg Entertainment, also takes a producers credit. Consequently, each of the featured artists work really well together, and each song adds to the theme of the movie, with Lamar typically sounding the weakest of any of the authors. But if Lamar is one of the worst parts, then why do I say that this is a Kendrick Lamar album? Mainly, because he is all over the record, providing direction to it’s theme, and even Kendrick Lamar at his worst is far more interesting then the majority of commercial artists out there today. I’m not going to spend a lot of time going over each of the individual tracks, but you should know that the themes of blackness as identity, politics, royalty, spirituality, and vulnerability all work together to show off the strengths of the movie, without actually being included in the film score. 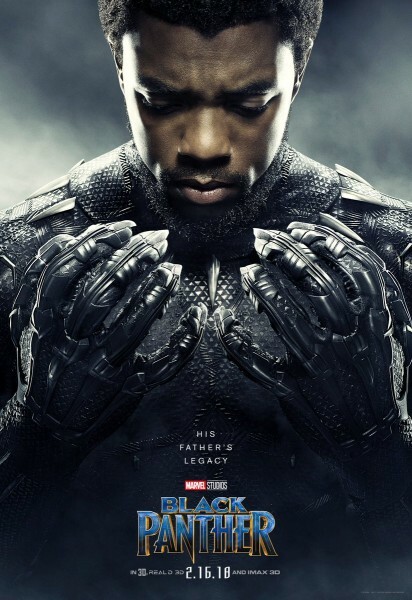 That’s right, this is a soundtrack inspired by the film, but when you listen to it, there are obvious lyrics which connect us to both protagonist T’Challa, and villain Killmonger. Pros: There is a lot of amazing cultural influence going on here, from The Weeknd, to Vince Staples. to Khalid, to Schoolboy Q, to Ab-Soul, to Jayrock. It’s A-list hip hop and R&B artists working in concert to send a message about responsiblity. Cons: If you are hoping for a follow-up to Kendrick Lamar’s 2017 studio album, Damn., then you are going to be disappointed. And as much as this is a Kendrick Lamar influenced soundtrack album, it would have benefited from being a true Kendrick Lamar album with artist features where necessary. Points of Interest: In it’s first two weeks out, Black Panther: The Album has remained No. 1 on the Billboard album chart. There are a handful of direct references to the movie in certain tracks, rapped by Kendrick Lamar himself. Getting the support of artists like 2 Chainz and Future is important to a whos-who of contemporary hip hop, but what is even more significant is the message contained therein and the status of the film as it reinforces the voices it needs to be heard. I haven’t seen the movie myself yet, but listening to the soundtrack on repeat of this week is making me even more impatient to check it out. It’s not a perfect album, but it is an essential soundtrack collection, and the best representation of a current hip hop to a commercial audience. I’m impressed by the album overall, and while Lamar is a bit subdued in the presentation, his voice continues to stand head and shoulders above the crowd. And speaking of Kendrick Lamar, my official video review of David Bowie’s Blackstar is now up. In this video Brendon and I tackle the final work of Ziggy Stardust with humour, inspiration, and an extra-special dose of smooth jazz. And if you want to figure out the Lamar/Bowie connection, you’ll just have to watch the video. Thanks for taking the time to read the review, watch the video review and hopefully you’ve left a comment or two. If you liked what you saw, click on the like button, and even better, subscribe to the channel! Come back tomorrow for a film review about The Florida Project. There’ll be more theories! Do you like to watch epic movie universes? I know I personally do. My all-time favourite cinematic universe is The Fast and The Furious, but there are lots of others that do a fantastic job. Today I have a great universe to share with you, one that is constantly improving upon its ethos and pulling us further in so that we can enjoy and relate to its characters. Joss Whedon is getting to be a pretty big deal at this point in his career. With director/writer credits for The Avengers (and now Avengers: Age of Ultron), 2012’s Much Ado About Nothing, and Serenity, not to mention writing credits for Buffy the Vampire Slayer, Toy Story, Atlantis: The Lost Empire, Firefly, Angel, the Astonishing X-Men TV series, and The Cabin in the Woods, Whedon has shown he can tell a story. But was Avengers: Age of Ultron a good movie? With so many high ranking actors in this movie and a writer like Whedon at the helm, I would argue a big yes. I have no major issues with the visual, the story or the relationships as they develop, and the set ups for future Marvel films are enjoyable as per audience expectations at this point. Much like the first film, we are treated to a few location hops throughout the story (read: New York City, Seoul, and Wakanda), but the plot mainly focuses on the made up nation of Sokovia. 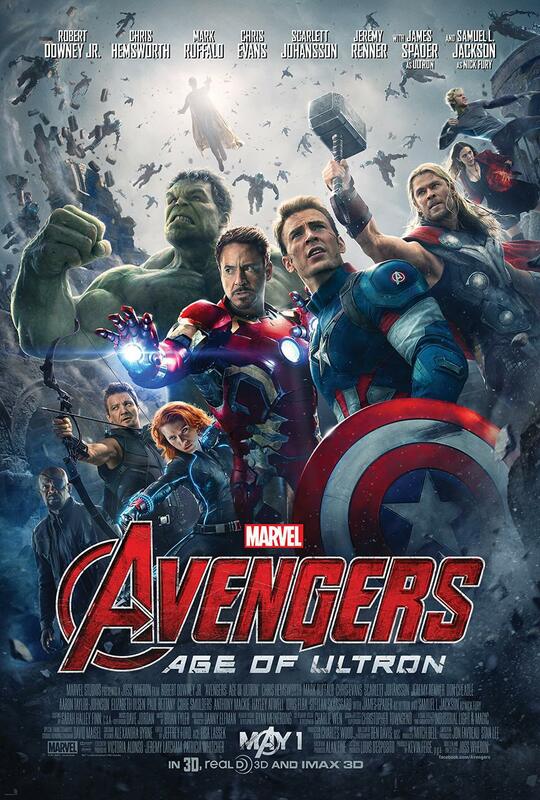 The movie begins with a raid by the Avengers – Tony Stark / Iron Man (Robert Downey Jr), Steve Rogers / Captain America (Chris Evans), Thor (Chris Hemsworth), Bruce Banner / Hulk (Mark Ruffalo), Natasha Romanoff / Black Widow (Scarlett Johansson), and Clint Barton / Hawkeye (Jeremy Renner) – on a secret HYDRA base which has been conducting experiments on Sokovians. They are using the sceptre previously wielded by Loki to accomplish this. Enter the only two surviving enhanced – Pietro (Aaron Taylor-Johnson) and Wanda Maximoff (Elizabeth Olsen). Rogers finally captures Baron von Strucker, the head of the base, while Stark retrieves the sceptre. But only after Wanda uses her hex powers to implant a fear-filled vision of future end-game scenario that sees the world conquered and The Avengers defeated, save Iron-Man. When the team arrives back at Avengers Tower the group plans a party while Tony coerces Bruce into helping him use the sceptre to design the AI needed to create the Ultron defence system he has in mind for the world. The AI program finally takes while the whole team is out celebrating at the party. What happens next is pretty wild as Ultron (James Spader) comes to life, and decides it is his sole responsibility to not only take care of the Earth, but that he will need to get rid of the Avengers and force humanity to evolve at the same time. JARVIS (Paul Bettany) is the first casualty in this process. In a creepy rendition of “I’ve Got No Strings” we get to see Ultron embed himself into one of the drones Stark has been using as of late, then he surprise attacks the Avengers in their home base, and then leaves with the sceptre to create a better body and his own army. I can’t tell you too much more without giving away the rest of the plot, but it gets even better from there. Pros: The jokes are infinitely better, and the more of the movies you watch, and more of a fan of the comics you are, the more you will be rewarded as watch. In particular, the exchange with Hawkeye and Pietro towards the end of the film where Clint makes a joke, and also the fact that Ultron’s personality mirrors Tony’s in very funny ways. Cons: There is a very unnatural death at the end of movie which I didn’t really care for, and which apparently was intentionally done as an F U to another distributor. It felt forced and didn’t really hold me, but you’ll have to watch to see what I mean. New comer Elizabeth Olsen is worth the price of admission alone as her portrayal of the Scarlett Witch was very on point, though admittedly we never hear her superhero name? If you haven’t watched the first Avengers movie, you can probably get by without seeing it, but you are definitely doing yourself a disservice. So do yourself a favour and watch that one first. But I bet you dollars to donuts, you’ll want to see the rest of the Marvel cinematic universe if haven’t yet. It really is hard not to enjoy these stories because there are so many archetypes explored and something there for everyone to relate to. Maybe you disagree? Either way, leave your questions and comments. You could even suggest a review for an upcoming week. Well, I hope you enjoyed this review, because I’m spent for the day. I can only handle so many theories at a given time.